We know your vacation can be a big investment. Unforeseen circumstances such as illness, injury or loss of job can all affect your vacation plans. Protect yourself and your traveling companions by purchasing travel insurance. Not only will you have peace of mind knowing you’re protected, but the cost is minimal compared to your total trip cost. There will be a link in your Vacation Rental Agreement with information about the plan. You will be asked to either Accept or Decline coverage on your agreement. In the case of a mandatory evacuation, guest shall comply with State or local authorities’ order. Upon compliance, Guest will not be entitled to a refund of the prorated rent for each night Guest is unable to occupy the home from Agent or Owner if Guest refused insurance offered by the Agent that would have compensated Guest for losses or damages resulting from loss of use of the property due to the evacuation order; or Guest purchased insurance offered by the Agent. This is pursuant to Senate Bill 974, G.S. 42A-36. You may elect to purchase Trip Cancellation and Interruption Insurance Policy, underwritten by Arch Insurance Company, by paying the stated premium. 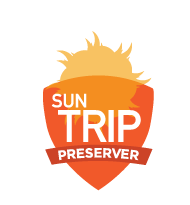 Detailed information can be found at the following website: Trip Preserver from Red Sky Travel Insurance.